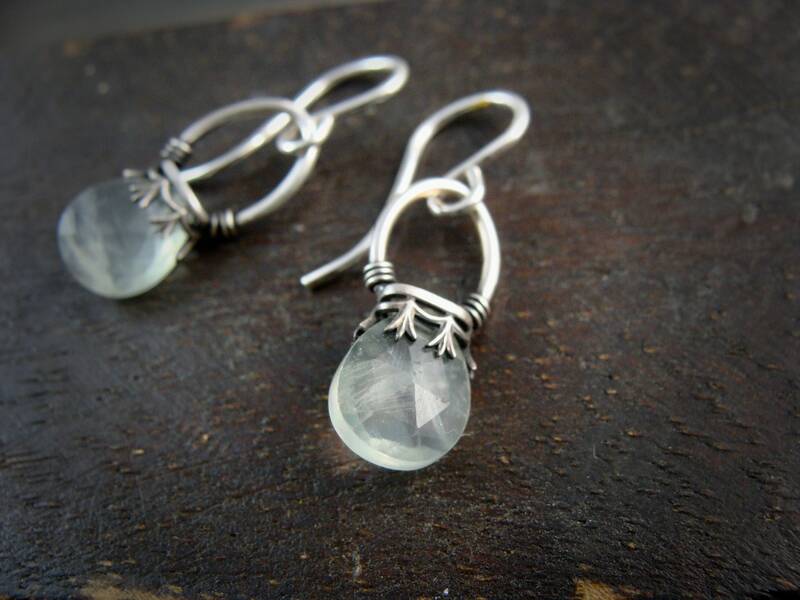 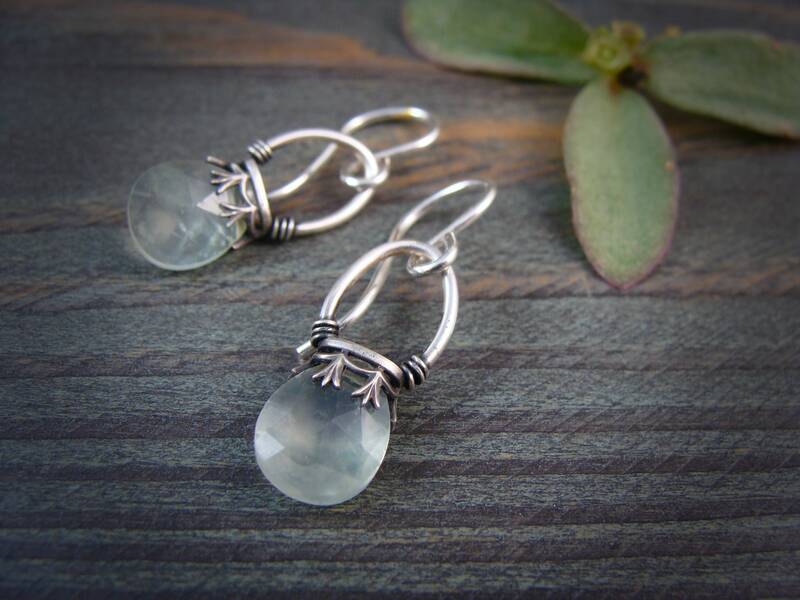 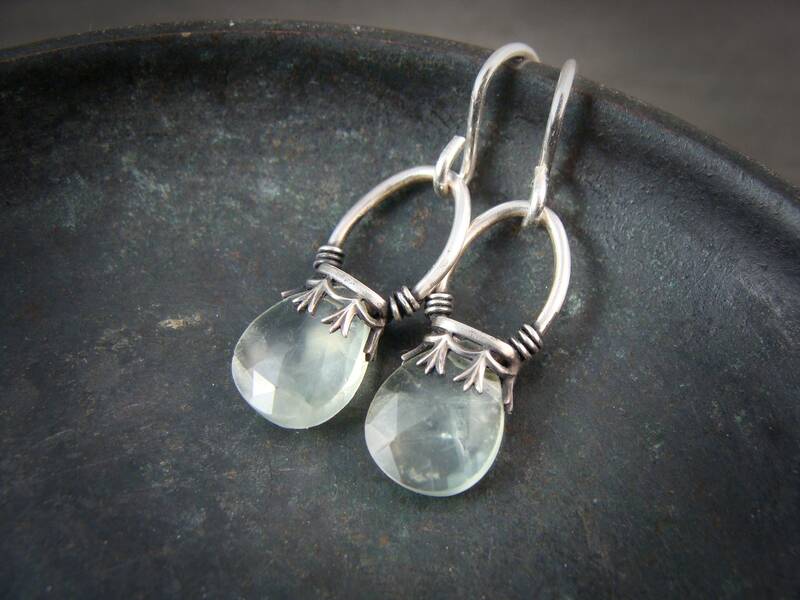 These pretty prehnite gemstones are suspended from pretty handmade filigree settings. 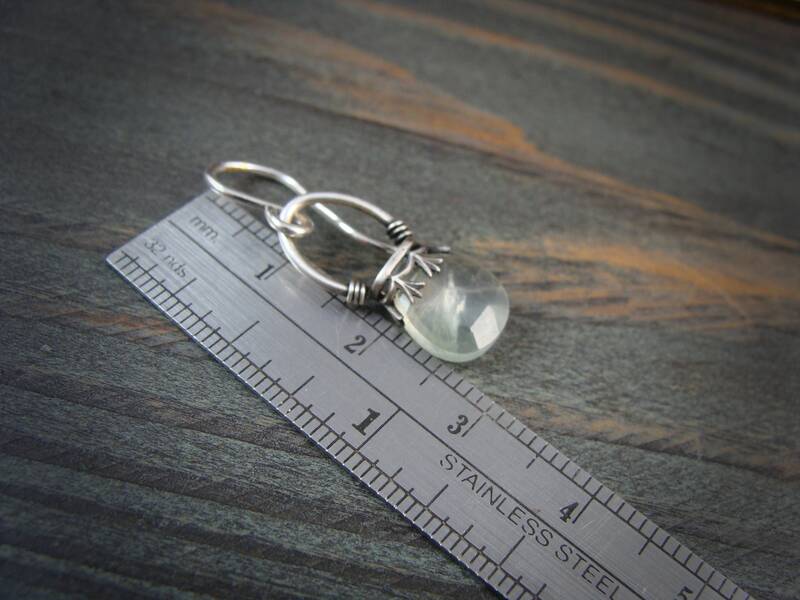 The silver has been given a dark patina and then brushed away to reveal bright silver highlights. 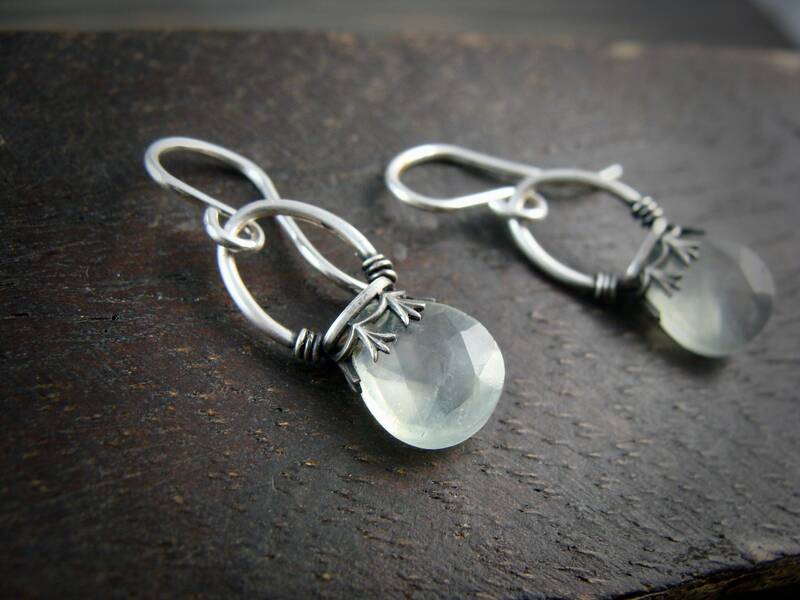 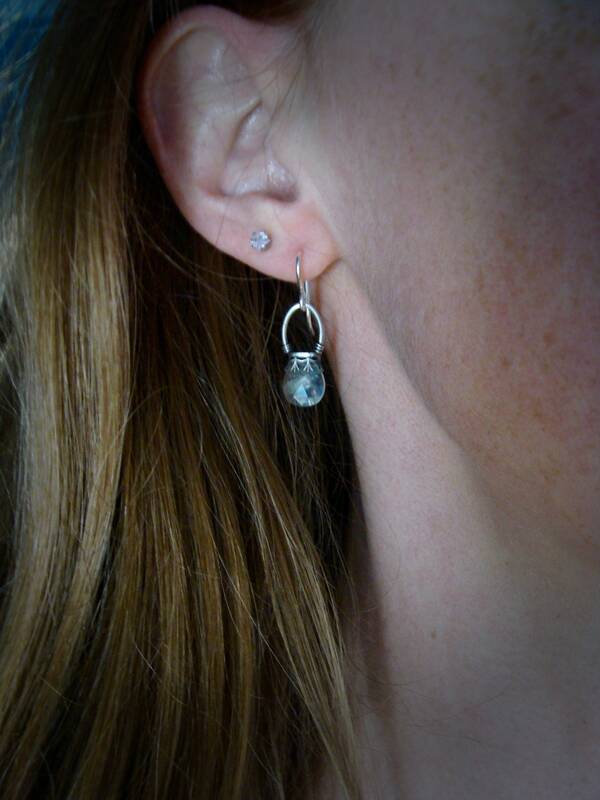 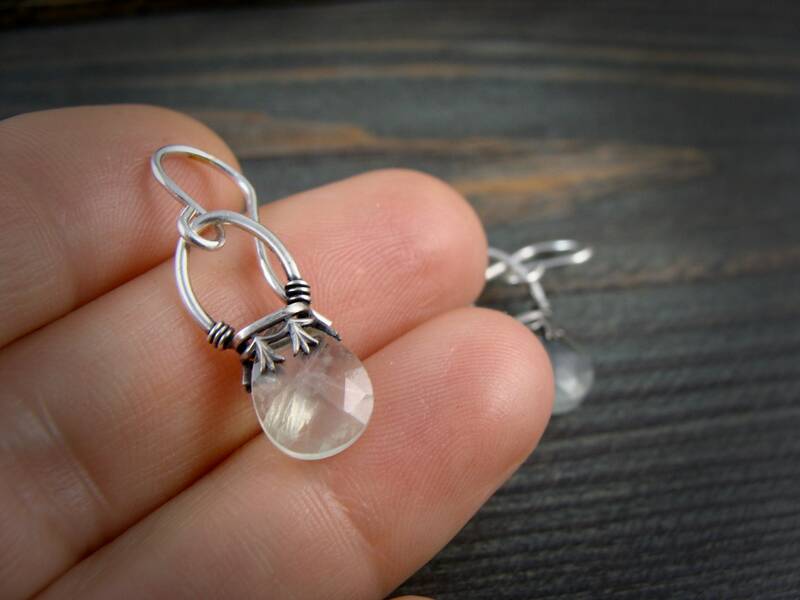 These sparkling stones hang from bright sterling ear wires.